This versatile formula is appropriate for all skin types and is designed to provide the most effective coverage for redness and dark circles. 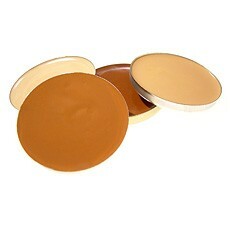 Use in isolated areas with our Concealer brush or your fingers. If more coverage is needed, use with a wet or dry sponge all over the face for a flawless look.